Digital Storytelling is about community. We tell stories to transfer knowledge, to make sense of experience and to teach values. Stories address the listener as a human being, not as a member of a class or society. Stories are told with the anticipation to connect to others. Digital Storytelling is simply, a way to tell stories using digital tools. 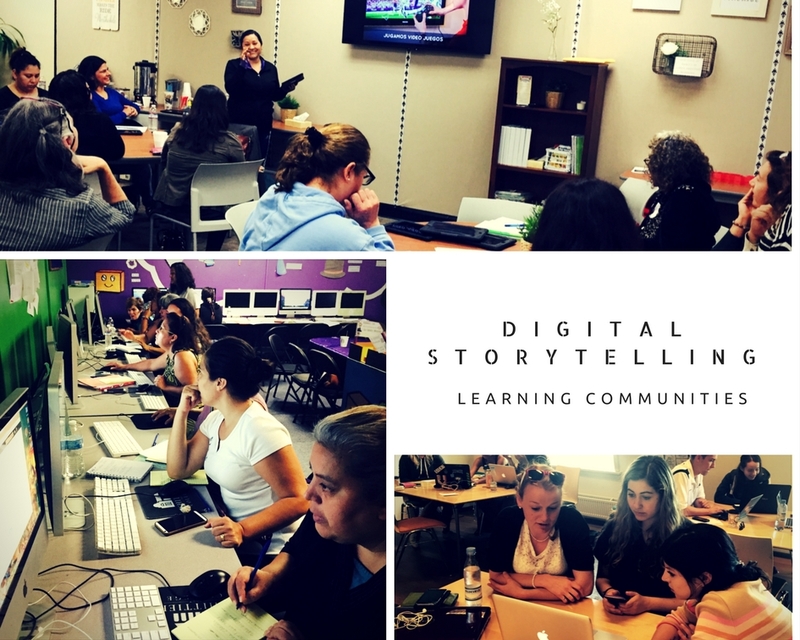 For nearly a decade, we have used digital storytelling to connect ideas, knowledge, creativity, and technology skills at Whittier College. So far, we’ve adopted this assignment into 17 different disciplines and over 1000 student-produced digital stories have been created. Selected playlists can seen on our YouTube page. We initially started digital storytelling as a way to help students develop their digital literacy skills through project-based learning. We’ve found that it’s much more than an assignment that begins and ends with one semester of work. Theses stories have wings! By sharing their stories with an audience that extends beyond the classroom, students are invested in an experience that allows them to think about their public scholarship within their community as well as on a global scale. With increased accessibility to tools that facilitate taking digital photographs and video, editing movies, creating sound tracks and web publishing, students can contribute to international learning communities. This is what digital citizenship is about–using digital tools to ethically contribute to the cultural understanding for global communities. Digital Storytelling is a social movement that empowers people who previously felt without a voice due to restrictive and expensive tools that made their stories difficult to produce. The importance of community comes from finding people that are like-minded and supportive. We each carry stories that give insight into our personalities through experience and opinions. Sharing stories opens pathways to understanding challenging realities or discovering dreams. Digital story creation enables us to make these connections. As an assignment, the process of digital storytelling asks us to form learning communities inside our our classroom. We listen to each other’s thoughts, we process what we’ve learned and how we are attempting to communicate using digital tools. During the digital storytelling assignment process we hold sessions called “Story Circle” where students listen, give feedback, and reflect on how each story based on experience, knowledge and evidence is making a connection to other students. We are simultaneously teaching and learning together, as a community. During our technology workshops, students work to edit their individual digital stories (sometimes as a group) but often we find that they are helping one another with video editing applications and by cheering each other on as they prepare their stories to be viewed by a larger audience. Recently, the Whittier Public Library hosted a digital storytelling workshop for the Whittier community. They produced “Twelve Stories” which celebrates our city’s diversity through challenges and triumphs. It was such a success that they will be hosting another workshop for community storytellers this May. The DigLibArts 2020 Initiative is about forming learning communities and thinking about what it means to “Only Connect.” Storytelling is at the heart of this!